America’s racial odyssey is the subject of this remarkable work of historical imagination. Matthew Frye Jacobson argues that race resides not in nature but in the contingencies of politics and culture. In ever-changing racial categories we glimpse the competing theories of history and collective destiny by which power has been organized and contested in the United States. 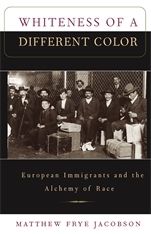 Capturing the excitement of the new field of “whiteness studies” and linking it to traditional historical inquiry, Jacobson shows that in this nation of immigrants “race” has been at the core of civic assimilation: ethnic minorities in becoming American were re-racialized to become Caucasian. He provides a counter-history of how nationality groups such as the Irish or Greeks became Americans as racial groups like Celts or Mediterraneans became Caucasian. Jacobson tracks race as a conception and perception, emphasizing the importance of knowing not only how we label one another but also how we see one another, and how that racialized vision has largely been transformed in this century. The stages of racial formation—race as formed in conquest, enslavement, imperialism, segregation, and labor migration—are all part of the complex, and now counterintuitive, history of race. 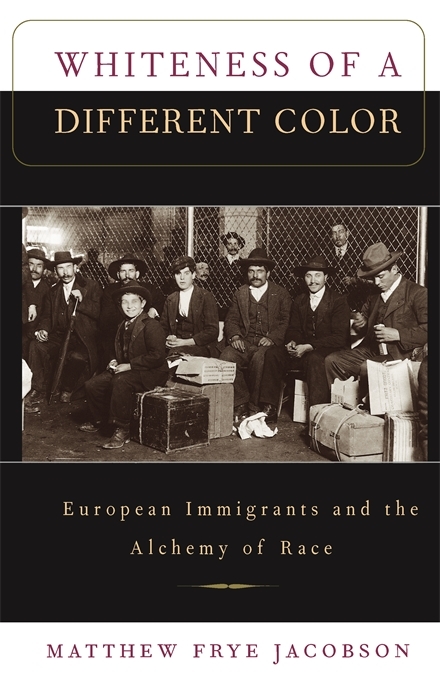 Whiteness of a Different Color traces the fluidity of racial categories from an immense body of research in literature, popular culture, politics, society, ethnology, anthropology, cartoons, and legal history, including sensational trials like the Leo Frank case and the Draft Riots of 1863.